David Milkes, M.D. completed his undergraduate studies at Stanford University earning a BS with Honors in Biology. He attending the University of California, School of Medicine in San Diego and earned his MD degree in 1996. He completed his internship and residency in Internal Medicine at Columbia Presbyterian Medical Center in New York City. He returned to Stanford University Medical Center for his fellowship in Gastroenterology and Hepatology where he received additional training in advanced endoscopic procedures including endoscopic mucosal resection and endoscopic retrograde cholangiopancreatography (ERCP). David joined North Shore Gastroenterology Associates in 2003. He has lectured at local and national meetings, has published several book chapters, and has contributed articles to major academic journals including Gatrointestinal Endoscopy. David is board certified in both Internal Medicine and Gastroenterology. He is an attending in Gastroenterology at North Shore University Hospital at Manhasset, St. Francis Hospital, and North Shore University at Glen Cove. David has a working medical knowledge in Spanish and he has volunteered on medical missions to Latin America, most recently to Ecuador. He holds memberships in the American College of Gastroenterology, American Society of Gastrointestinal Endoscopy, and the American Gastroenterological Association. 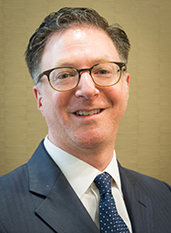 David’s primary interests include colon cancer screening, advanced endoscopic procedures, pancreatic disease, biliary tract and gallstone disease, acid reflux disease (GERD), upper endoscopy, colonoscopy, and endoscopic retrograde cholangiopancreatography (ERCP). Outside of medicine, David enjoys traveling, scuba diving, and snow boarding.